Some would say otherwise I’m sure but honest it’s true! 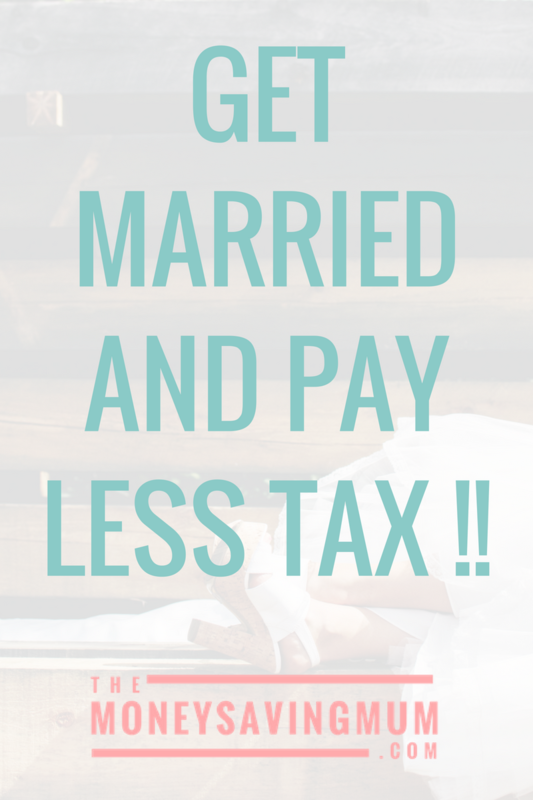 In 2015 the government introduced marriage allowance where you are allowed to transfer £1190 of your personal tax allowance over to your husband, wife or civil partner if they earn more than you. By doing so it reduces their tax by £238 per year (approx £20/month) but to benefit the lowest earner must earn less than £11850 per year. Your partners income must be also between £11850 and £46350 (or £43430 if you’re in Scotland). You can apply for marriage allowance online; it’s really straight forward (we’ve done it ourselves!). You will need a few forms of ID in front of you before you start though as they ask for your NINO, your passport details, your p60, wage slips and bank account account details. HMRC then do the rest! It’s really that simple! Your personal allowance will transfer every tax year too; well until one of you cancels the allowance or your circumstances change so you only have to do this the once. You can read more on marriage allowance over on the government website here but honestly it’s very rare you get something for nothing so if you know you’re eligible apply now!! Previous Post Boots Seventeen make up…. I will miss you! You’ve reminded me that I need to get this done for last year once hubby has submitted his tax return. It’s a great little tax perk that I am sure a lot of people are still missing out on. So many people don’t know about this! You’ve made it really clear which I love as well! Thanks for linking up to #MondayMoney. Hope to see you next week.